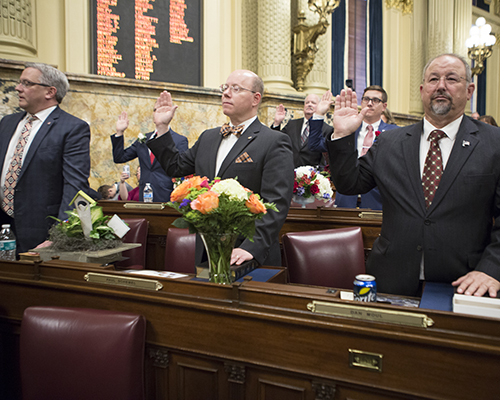 On Tuesday, I joined my House colleagues in taking the oath of office for the 2019-20 Legislative Session. The House is now comprised of 110 Republicans and 91 Democrats, including 43 first-term members. Two of the Democrats are self-styled Democratic Socialists. There are two vacancies: one the result of the death of Rep. Sid Kavulich of Lackawanna County and the other due to the resignation of Rep. Vanessa Brown of Philadelphia following her bribery conviction. I am humbled and honored to be your representative in the General Assembly. A new law addressing habitual DUI offenders is now in effect. Statistics show repeat offenders cause 40 percent of all DUI-related crashes.